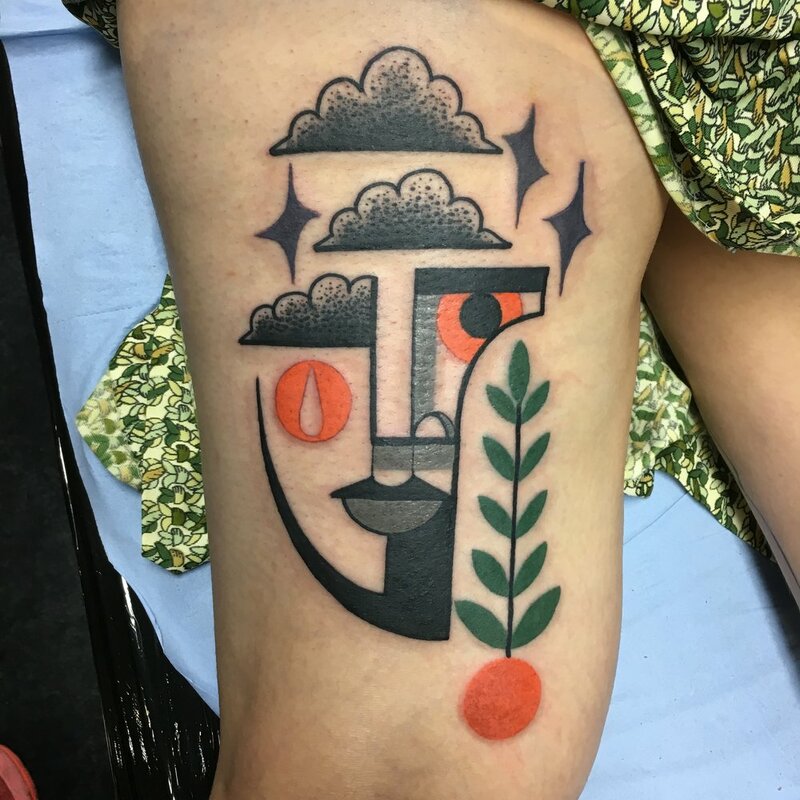 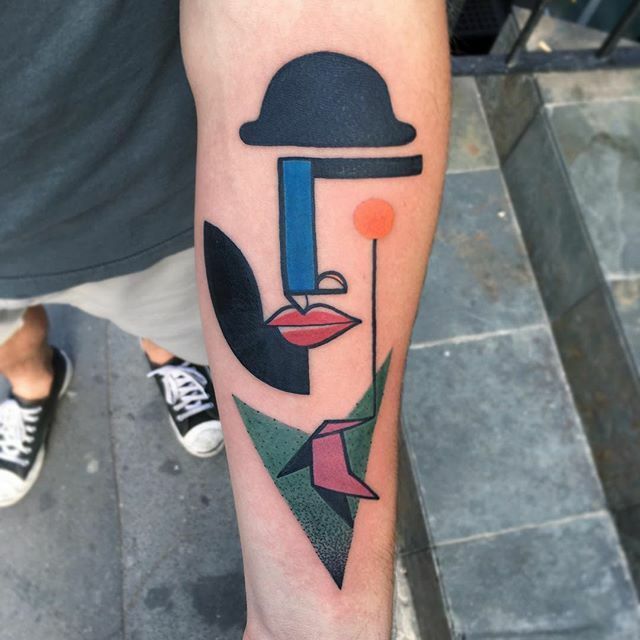 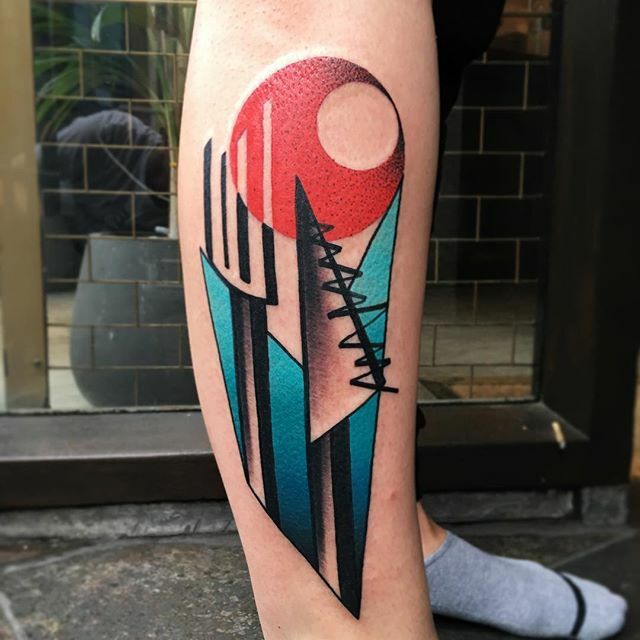 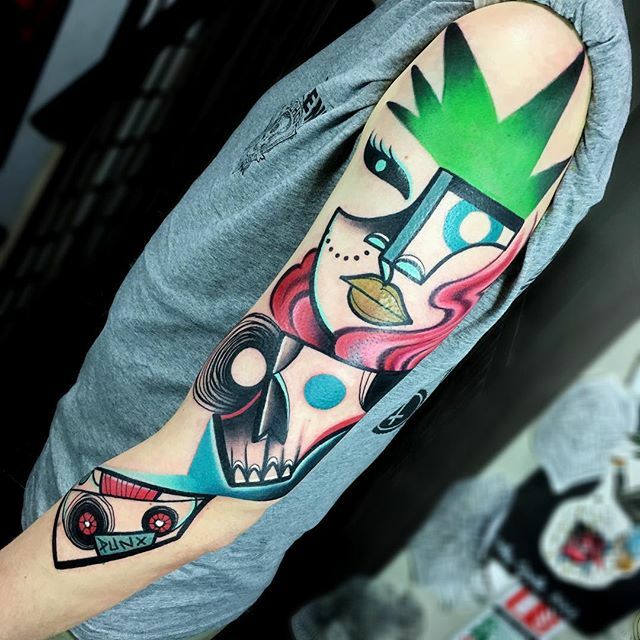 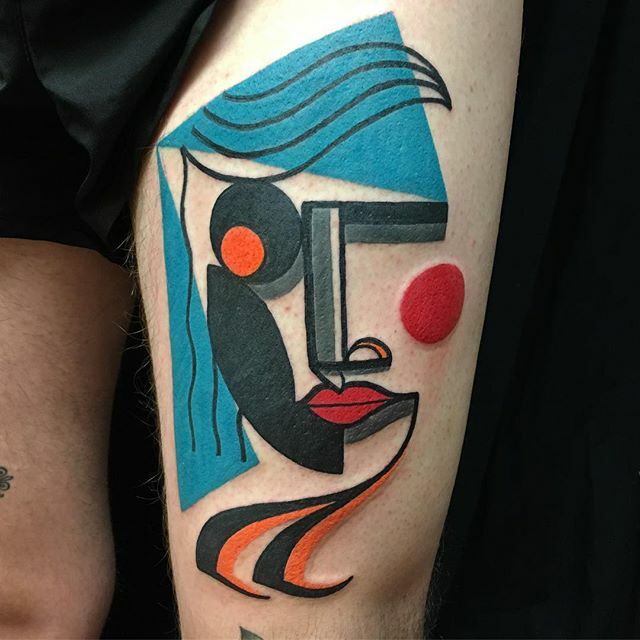 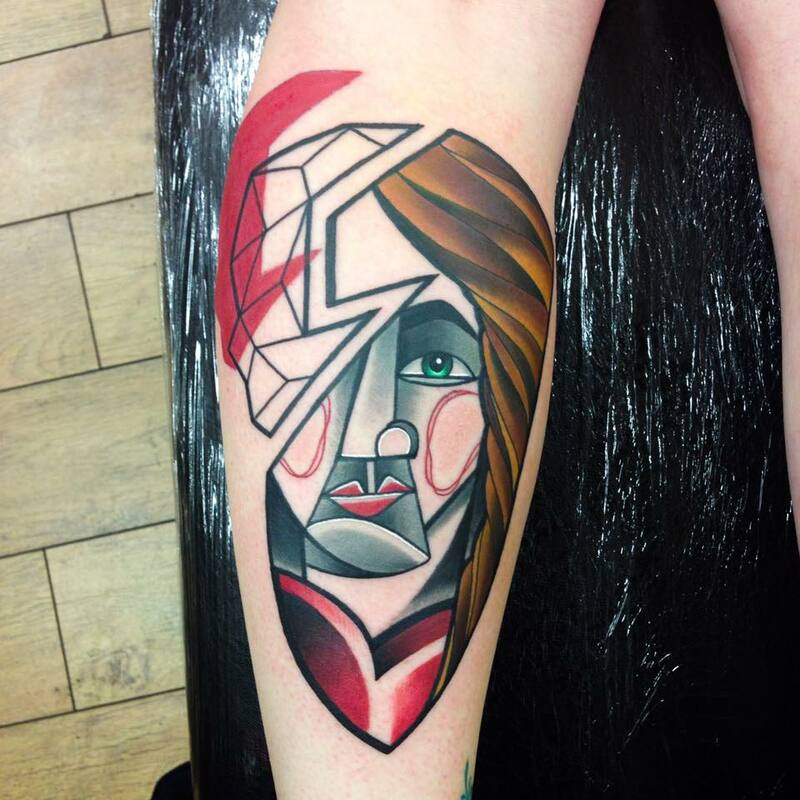 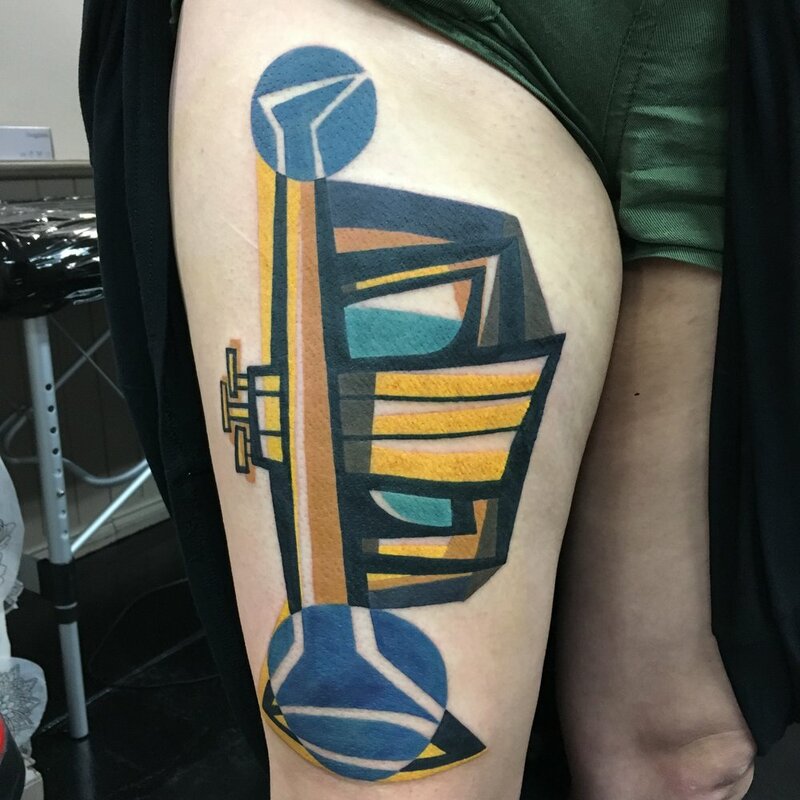 I stumbled upon some of the best cubist influenced tattoo creations and found out that they were all from the brilliant tattoo artist Mike Boyd. 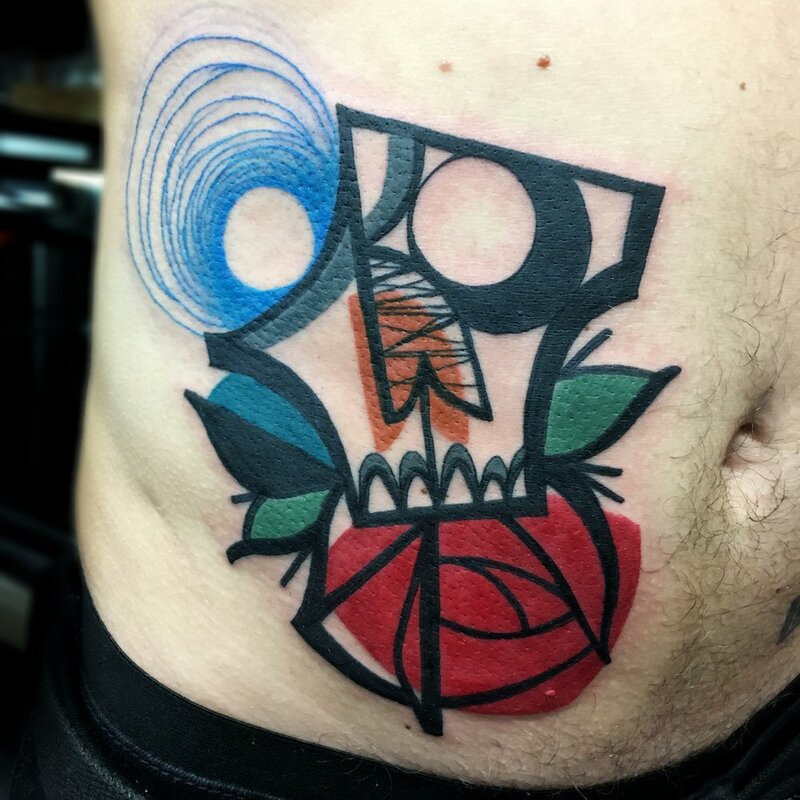 I work at The Circle, Soho, London and specialise in a form of abstract tattooing using bold lines and bright colours. 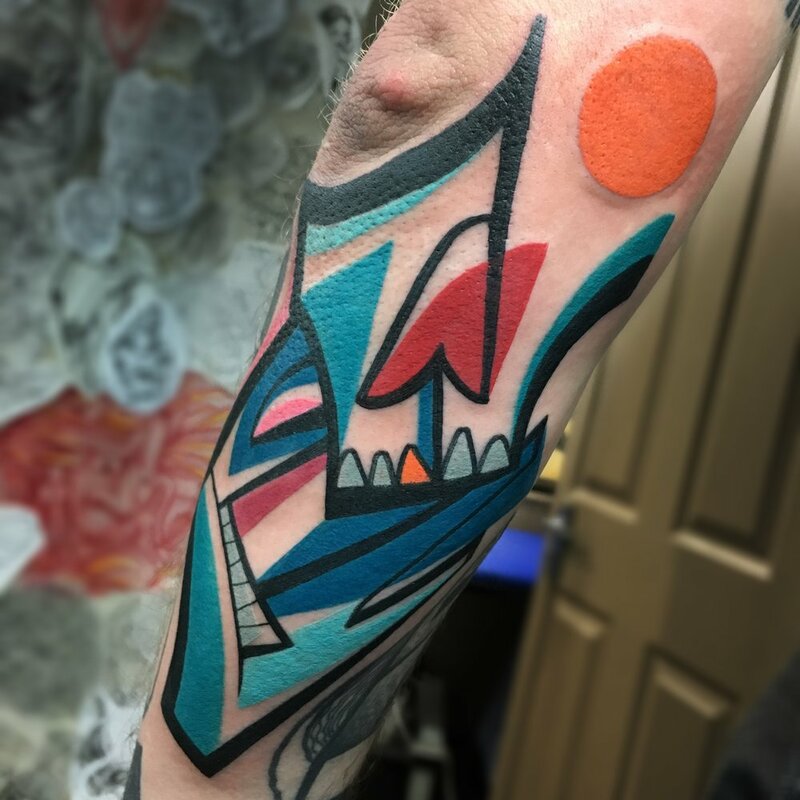 Mike Boyd is an avid traveler and believes this lifestyle is absolutely crucial in the development of his abstract tattooing style. 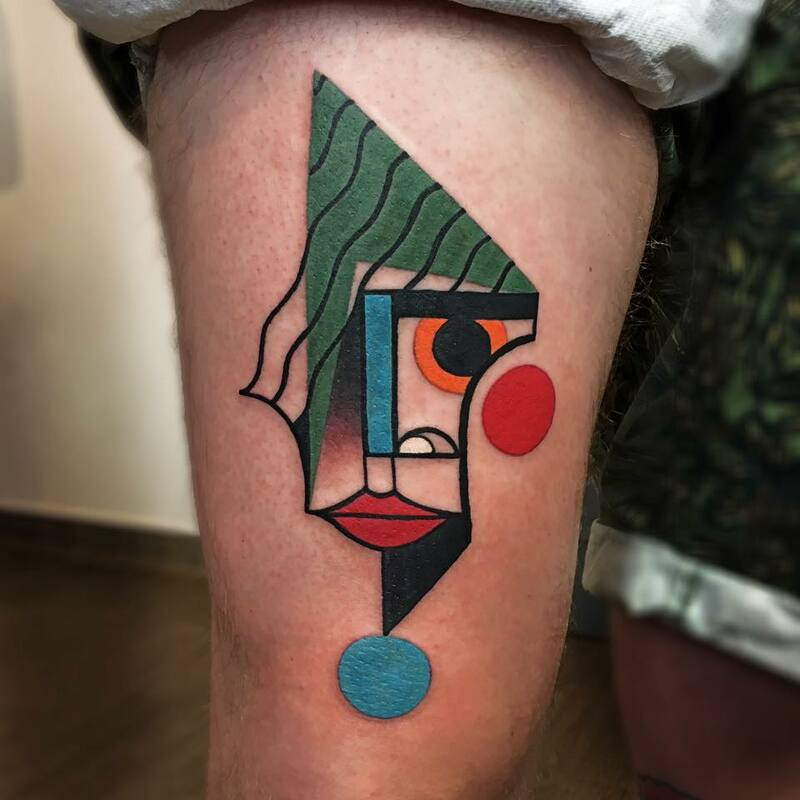 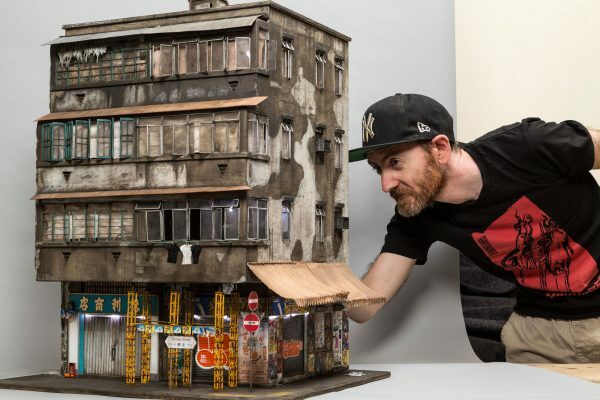 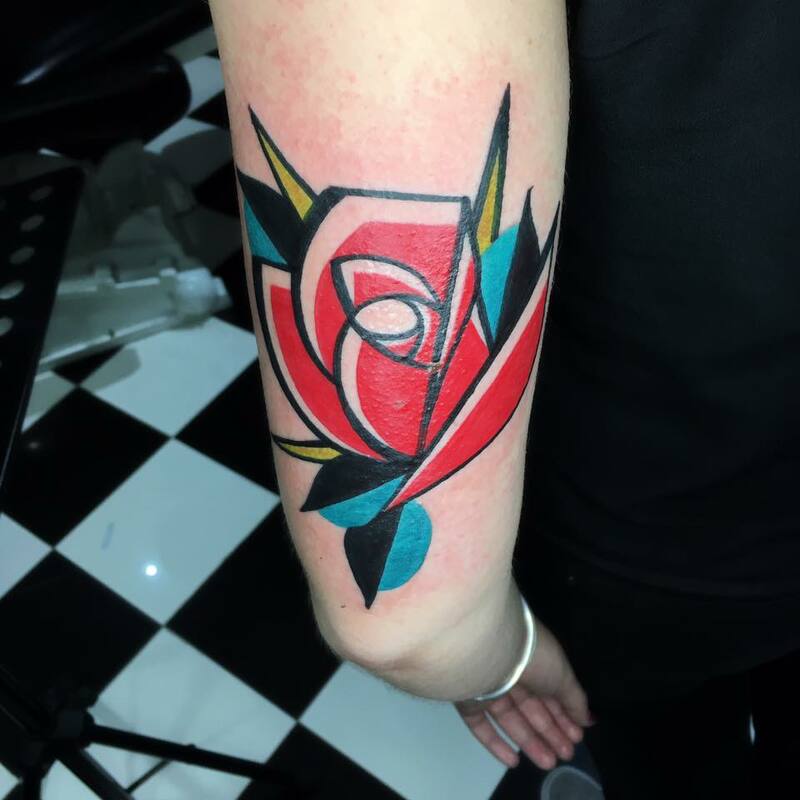 When he is not traveling, he is busy working and creating these amazing bright and and angular tattoo masterpieces in various studios, thinning the line between tattoo and art. 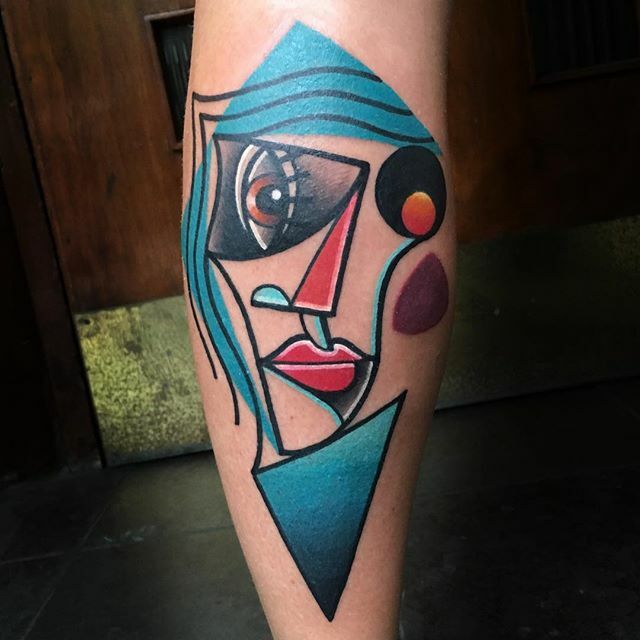 His Picasso-like faces, colors and segmented bodies really make it hard to discern skin from traditional canvas. 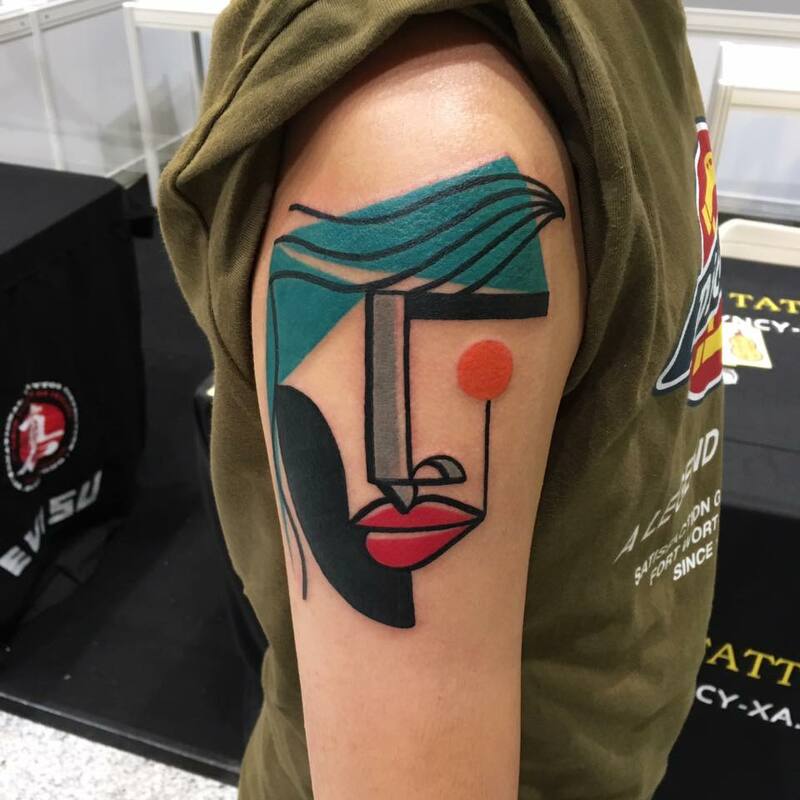 Make sure to see all of his work by visiting his personal website, Instagram. 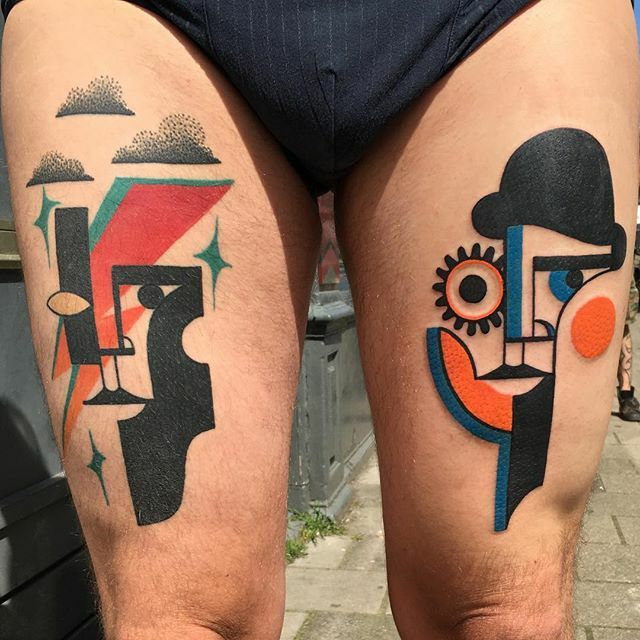 If you are not totally ready to commit your body to one of his designs, you can still buy some limited edition prints via his website.